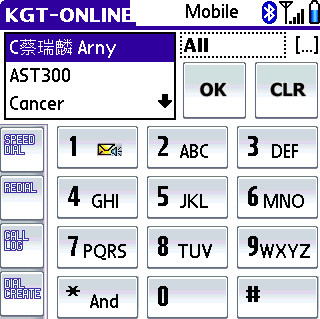 [交流] Treo 650/600 軟體介紹討論大家一起來 - PDA 軟體綜合相關討論 - PALMisLIFE 討論區 - Powered by Discuz! 如果你堅持Call-log, Favorites, Contacts, Dial-pad 這四個程式的icons一定要出現在桌面上, 就裝它吧! TreoGuard is a utility for your Treo 600/650 that can play MP3 ringtones, save your battery by turning off the screen during calls, save your hearing by disabling alarms during calls, stop accidental key presses from answering or ignoring incoming calls, schedule your radio to turn on/off at a specified time each day, and much more! 剛才測試過 Chat Anywhere, 在 Treo650 上正常可用! GMT+8, 2019-4-25 02:18 , Processed in 0.069339 second(s), 33 queries , Gzip On.